I am exhausted. Dead-tired beat. Beat dead-tired. Deadbeat tired. Something like that. After a full day of cooking with A on Saturday (epic photos below), we went to rock the Chili Experiment cook-off yesterday. 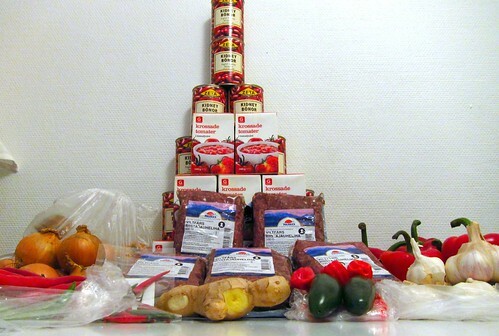 That included four kilos of onions (that’s ten pounds), 12 cans of kidney beans, 25 chilis, 15 cans of tomatoes, and four kilos of venison. To say the least, it was awesome! Brooklyn Brewery stuffed us with enough beers to not remember why you were really competing but that you just kept giving out little cups of stuff for people to try. Yum! Nearly everyone cooked something delicious and chili related. There was one yellow soupy, veganish-chili that was weird but everything else I could eat over and over and over again. 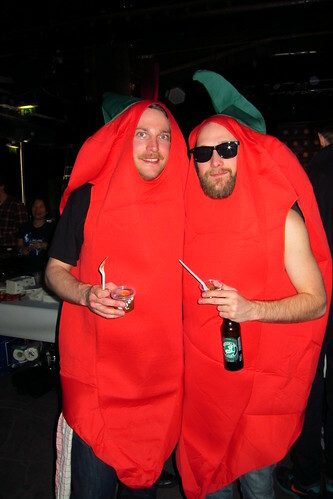 Not many people dressed up but one team dressed up as giant chilis. They were epic funny. We dressed up as Indians with Viking helmets. Chili men – indeed hot. 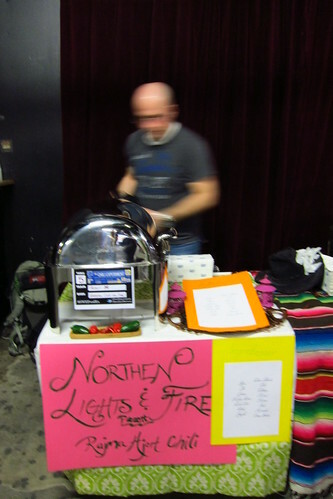 Setting up our table – go team Northern Lights & Fire! Presenting to the judges. That’s Edward Bloom. I think he really liked our candied chili idea. Photo op with Theo, who ran the shindig. I especially love him because he went all Brookly nuts at one point. And Brooklyn crazy means speaking louder than indoor voice and using a lot of four letter words. Love him! All in all, this was just the event I needed to get back to having more fun in life. Thanks awesome friends for showing up and The Swede for rallying the troops. 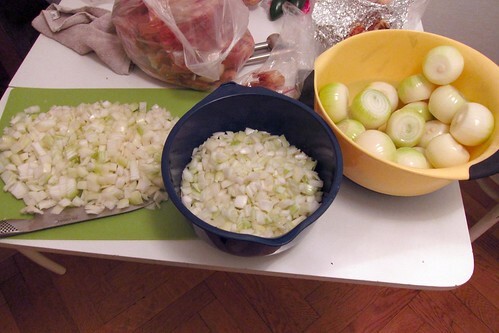 And of course, partner in crime who chopped all those onions and didn’t cry! 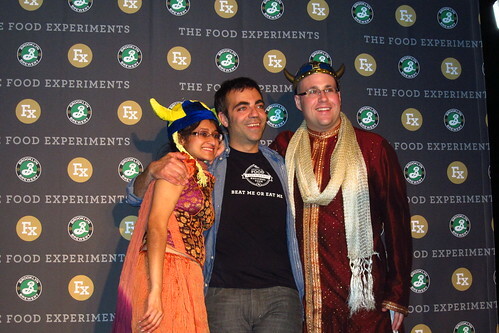 This was an awesome event and cook-off! I had a great time this weekend. Come Sunday, yes I was exhausted, I was tired, I just wanted to relax. So much work and effort went in, and it was a huge success! Awesome food, awesome costumes, awesome beer, awesome atmosphere. Definitely need to go back next year and cook even more!